The False Claims Act makes it illegal for individuals or companies to defraud the federal government by making false claims, usually on federal government contracts. What does “qui tam” mean, and who is a False Claims Act whistleblower? “Qui tam” is Latin for “who as much, who as well,” deriving from the opening words of a clause referring to a plaintiff who sues on behalf of the government. 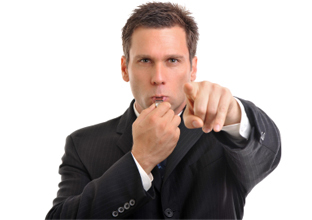 Qui tam plaintiffs under the False Claims Act are known as relators or whistleblowers. Under the qui tam provisions of the False Claims Act a private plaintiff, who knows about fraud committed against the federal government, may file suit on behalf of the government. The government may intervene in qui tam litigation, but the Department of Justice reports that it intervenes in less than 25% of qui tam actions filed. How do I file a qui tam action under the False Claims Act? The False Claims Act has strict disclosure and filing requirements, meaning that you should consult an experienced qui tam lawyer immediately if you suspect fraud against the government. If you need to speak with a qui tam attorney, please feel free to contact The Winfrey Firm. How much money can a whistleblower receive under the False Claims Act? A successful qui tam plaintiff generally receives between 15-25% of the amount recovered. The percentage awarded to the whistleblower depends upon factors such as whether the government intervened in the case and whether the relator substantially contributed to prosecution of the case. A qui tam whistleblower may also recover reasonable attorney’s fees and costs of the litigation. On the other hand, a qui tam relator who brings a frivolous case may be required to pay the defendant’s attorney’s fees and costs. What is a “false claim”? Conspiring with others to get false claims approved or paid. Does the False Claims Act protect whistleblowers against retaliation for reporting fraud against the government? Any employee who is discharged, demoted, suspended, threatened, harassed, or in any other manner discriminated against in the terms and conditions of employment by his or her employer because of lawful acts done by the employee on behalf of the employee or others in furtherance of an action under the False Claims Act, including investigation for, initiation of, testimony for, or assistance in an action filed or to be filed under the False Claims Act, shall be entitled to all relief necessary to make the employee whole.